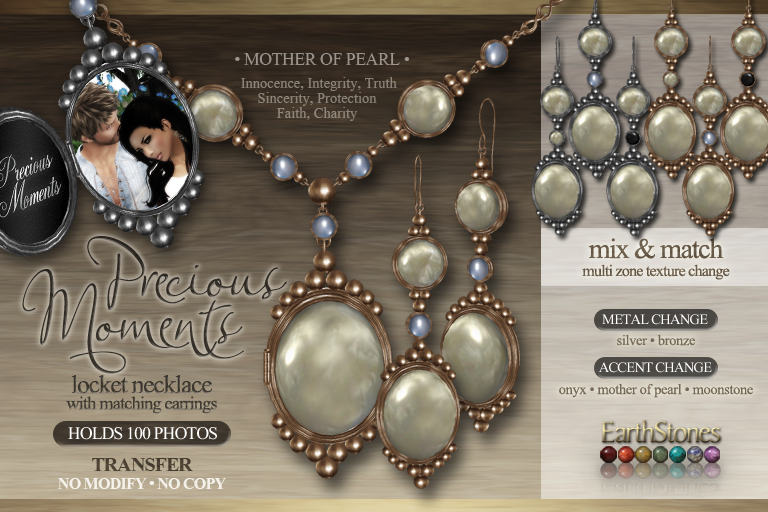 Add up to 100 of your favorite memories in this vintage inspired mesh locket! Locket and earring sets with matching bracelet and ring sets sold seperately. 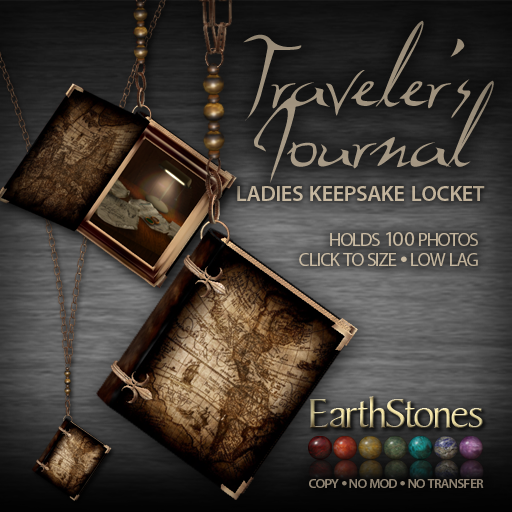 Locket Holds 100 photos! Engraving available. 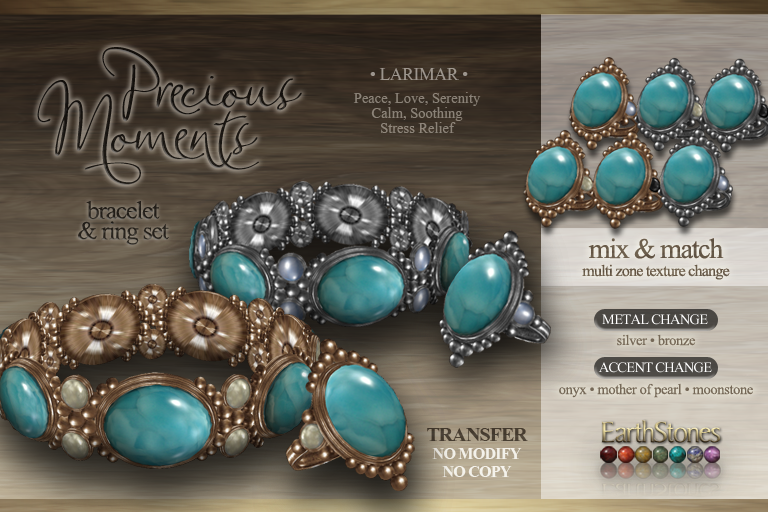 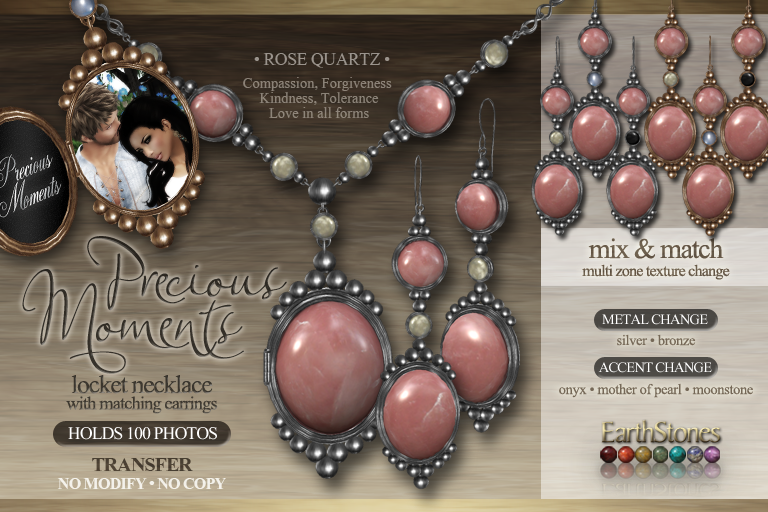 Visit EarthStones for details and order form. With 11 gemstones to play with, it’s a complete jewelry wardrobe that will go with anything! 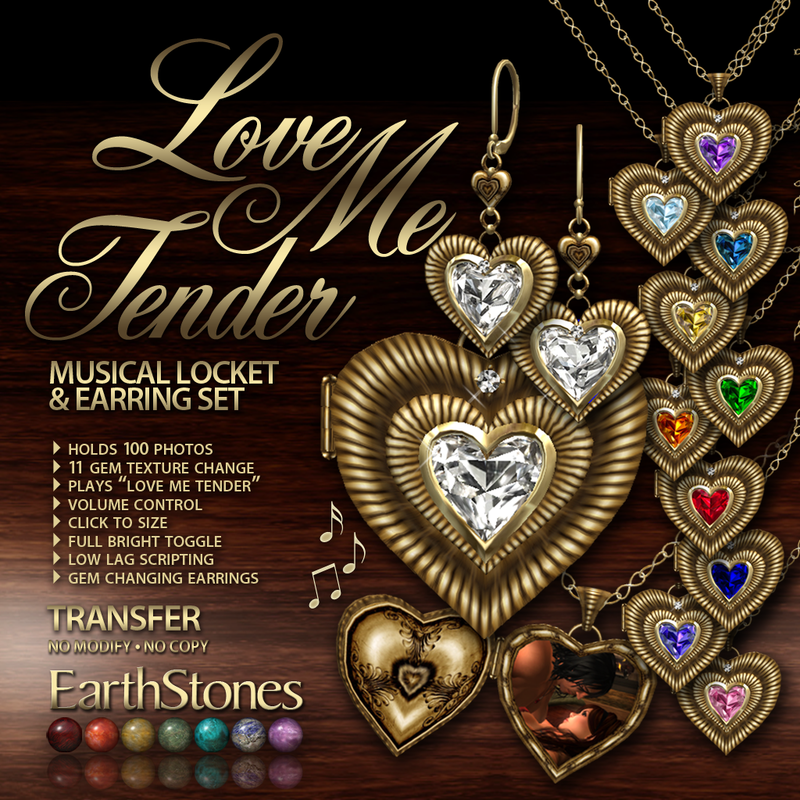 Available in choice of Gold or Silver settings and includes Amethyst, Aquamarine, Blue Topaz, Citrine, Emerald, Fire Opal, Ruby, Sapphire, Tanzanite, Pink Tourmaline, and Diamond. Available at the EarthStones Main Store! 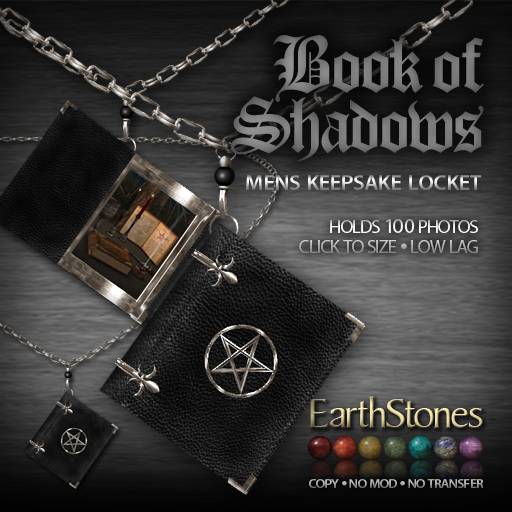 Book of Shadows, Traveler’s Journal, Necronomicon. 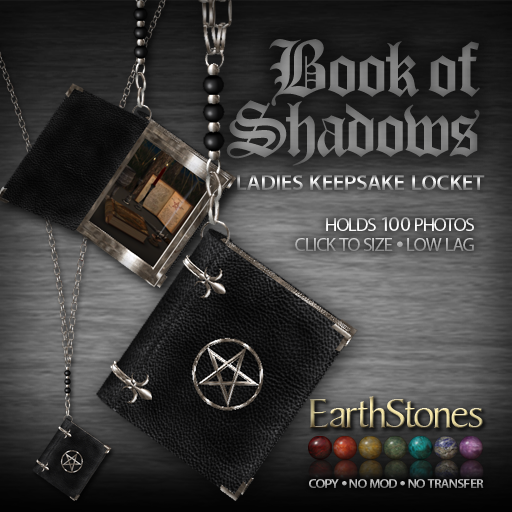 Take your pick of these adorable book lockets that will hold up to 100 snapshots of your favorite places, spells, kills, dead or undead, or.. well, anything or anyone. =) Available for both the ladies and the guys and in your choice of COPY or TRANSFER. 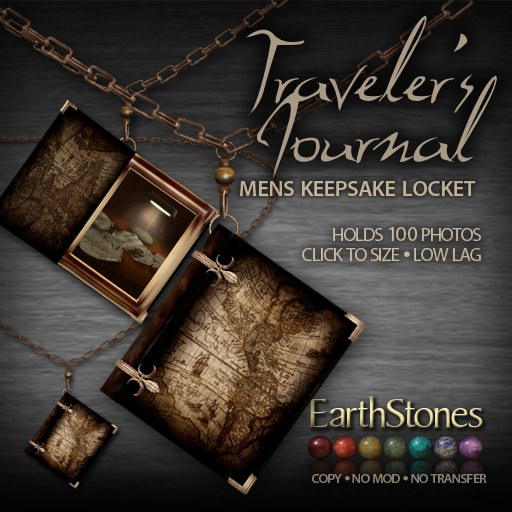 All lockets are low lag scripted with high quality sound effects! 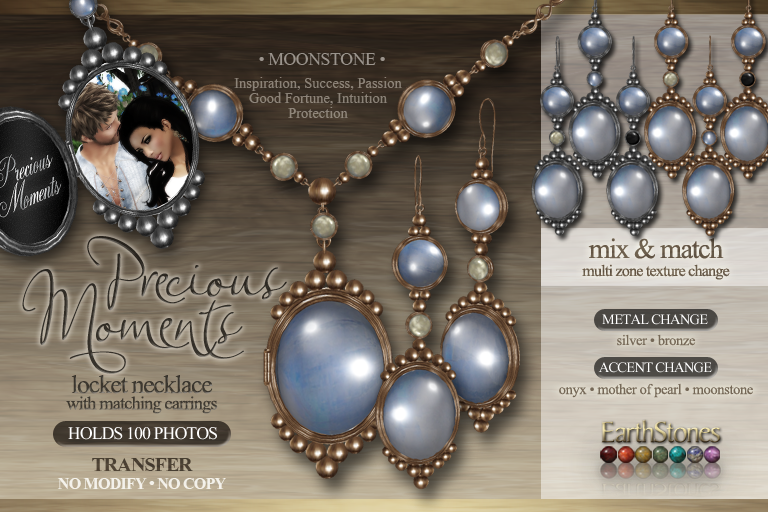 Findem at the EarthStones Main Store!